Is Discrimination Causing a Hostile Working Environment for Los Angeles Firefighters? On behalf of admin of JML Law, A Professional Law Corporation posted in Discrimination on Saturday, Feb 24 2018. The NFL protests, where certain players have taken to one knee during the national anthem have been much publicized, and there’s a definite split in opinion. While the action was intended to be a statement about the shooting of black men by police and to draw attention to the ongoing issue of racial injustice, it appears that it has led to a level of discrimination and hostility within the Los Angeles Fire Department. According to a letter written to the Department’s 3,600 employees by Fire Chief Ralph M. Terrazas, there has been at least one debate amongst firefighters on duty, as well as an on-going lack of sensitivity towards non-white firefighters. In his letter, Fire Chief Terrazas expresses concern that such discrimination and hostility could hamper firefighters’ ability to protect the people of Los Angeles. Does LAFD Have a Discrimination Problem? The concerns raised by Fire Chief Terrazas last week aren’t the first of their kind to be expressed in recent months. Assistant Fire Chief Roy A. Harvey sent a memo to Terrazas back in October 2017, stating that black firefighters had been the recipients of offensive and seemingly racially-motivated comments from colleagues, both in person and via social media. Harvey also stated that the recent working environment had reminded him of incidents that happened decades ago before many people became more educated and enlightened about racial matters. Aside from the comments mentioned by both Harvey and Terrazas, it has been reported that at least one debate amongst on-duty firefighters narrowly avoided escalating into a physical altercation. The recent reports of racial discrimination come after a City Council in 2007, where a black firefighter was awarded $1.5 million due to colleagues allegedly serving him a meal containing dog food, and a recruitment freeze implemented by Mayor Garcetti in 2014, following reports of nepotism and sexual discrimination in the hiring process. All in all, the LAFD has been no stranger to workplace discrimination over the years, if these allegations are to be believed. Current race-related incidents are being investigated by the LAFD’s Professional Standards Division. 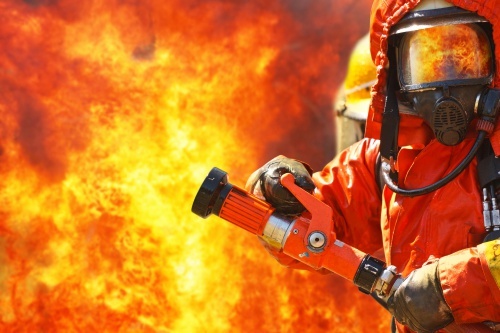 The examples of workplace discrimination outlined in the Los Angeles Fire Department statements are pretty obvious, however, workplace incidents aren’t always as clear-cut. As it can be difficult to prove that discrimination took place if you feel you are the victim of such action at work, you should seek legal representation from a Los Angeles discrimination attorney immediately. Discrimination can include any adverse treatment of an employee based on their gender, race, religion, age, or disability. Under California law, you have one year from the date of the discriminatory act to file a lawsuit. To enable an experienced Los Angeles discrimination attorney to prepare your case in time, call us today on 818-610-8800 for a free consultation.